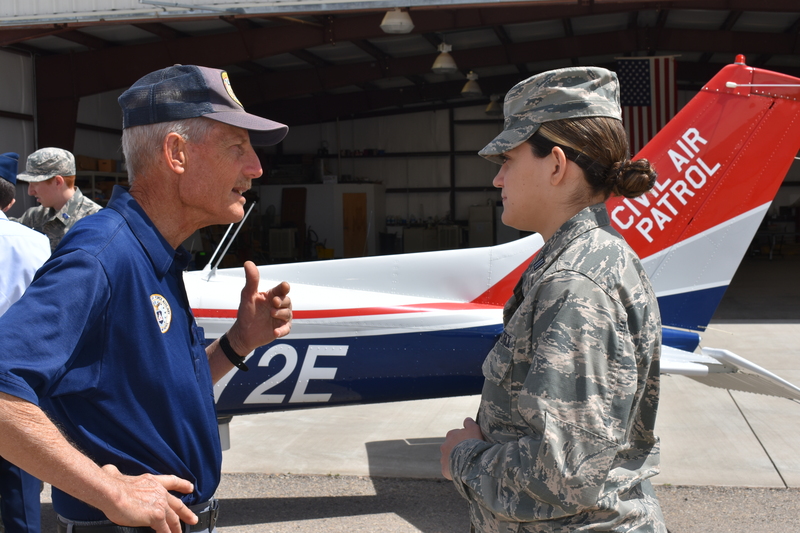 The Las Cruces, NM, Civil Air Patrol (CAP) has just welcomed another long-time active FASF member to its ranks. 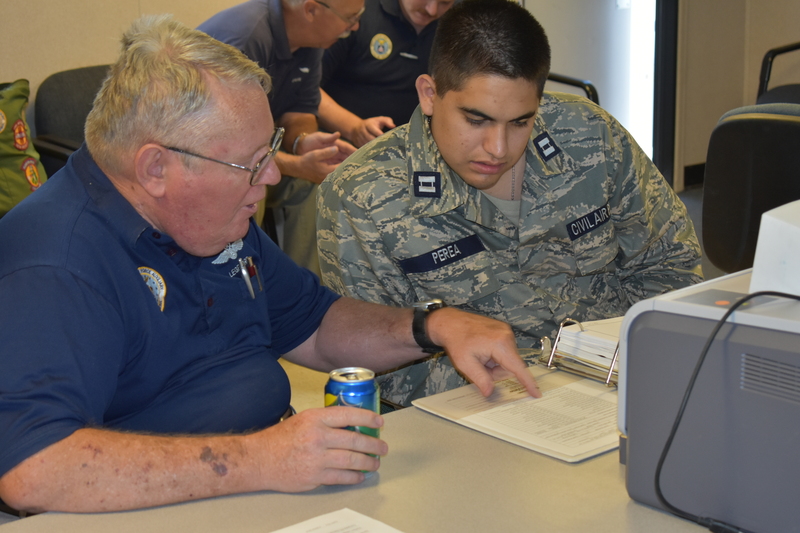 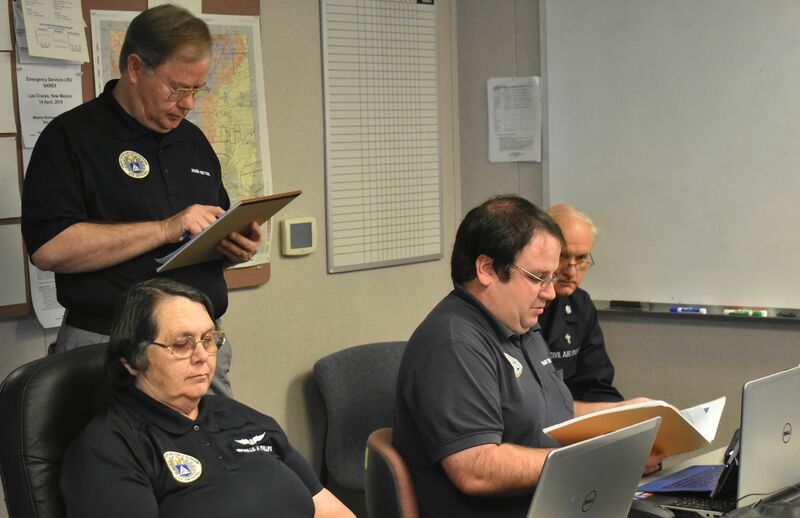 Colonel (USAF Retired), John Orton, who is the only former Trustee who flew his own airplane to FASF Board Meetings over the years, has just become a Senior member of the same CAP Squadron which already boasts several other FASF enthusiasts. 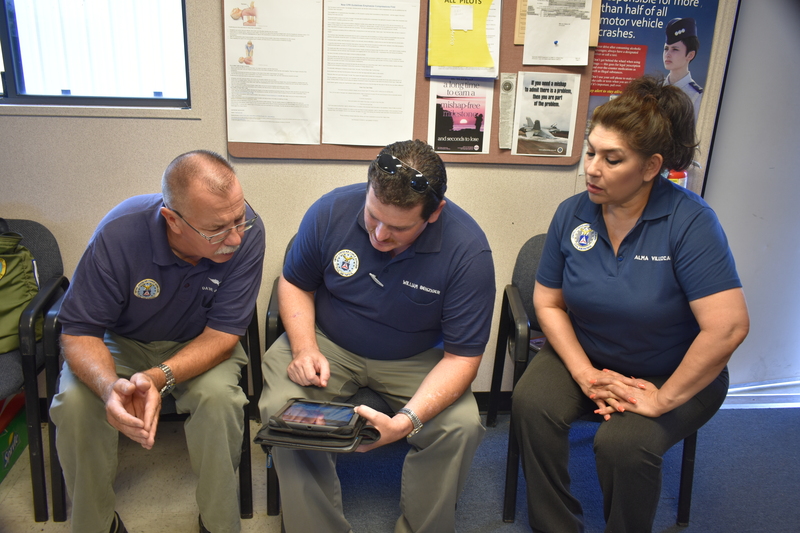 Two years ago, both the FASF Treasurer, Alma Villezcas, and President, Ric Lambart, were recruited into the same CAP unit by another early FASF member, Colonel Alan Fisher. 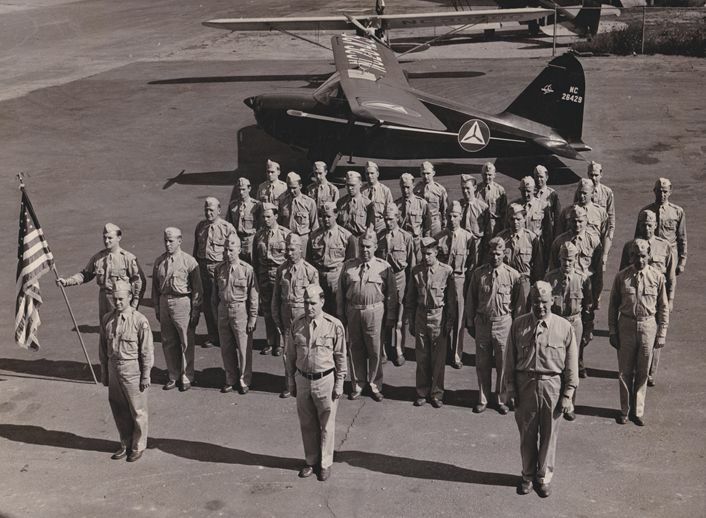 REMEMBER: To see any photos in high resolution, simply click on them. 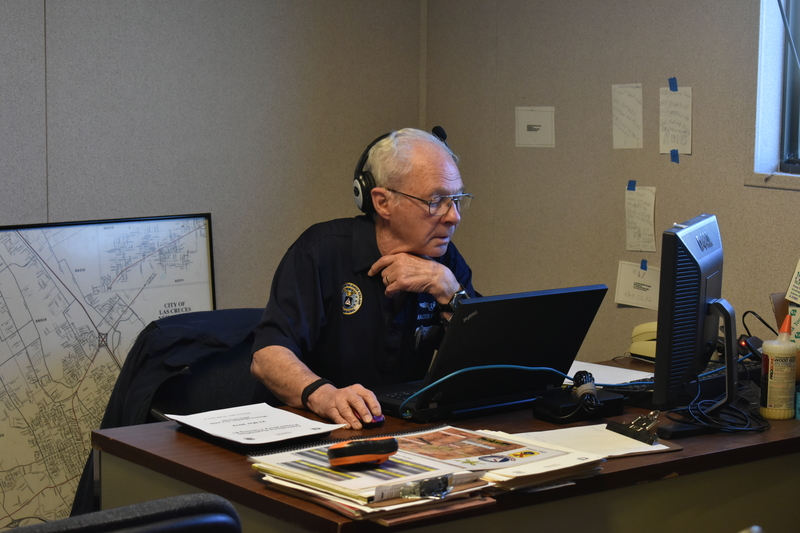 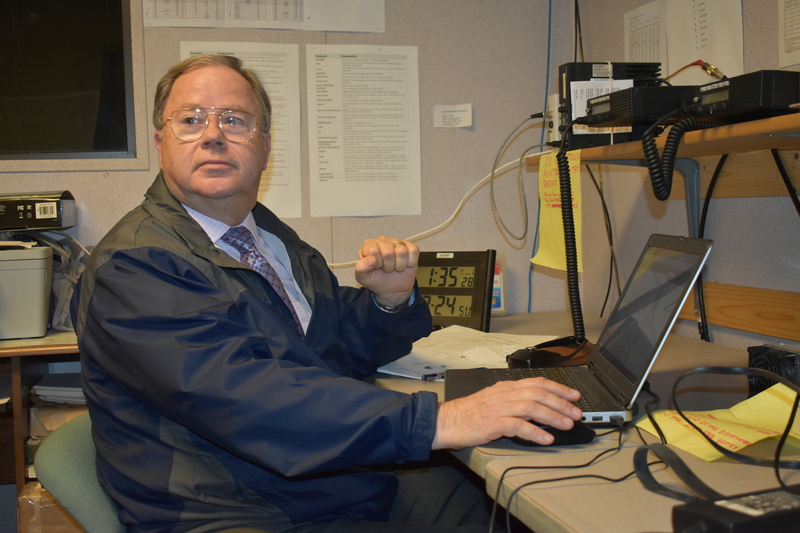 John Orton looks up while working at his laptop’s FEMA training syllabus. 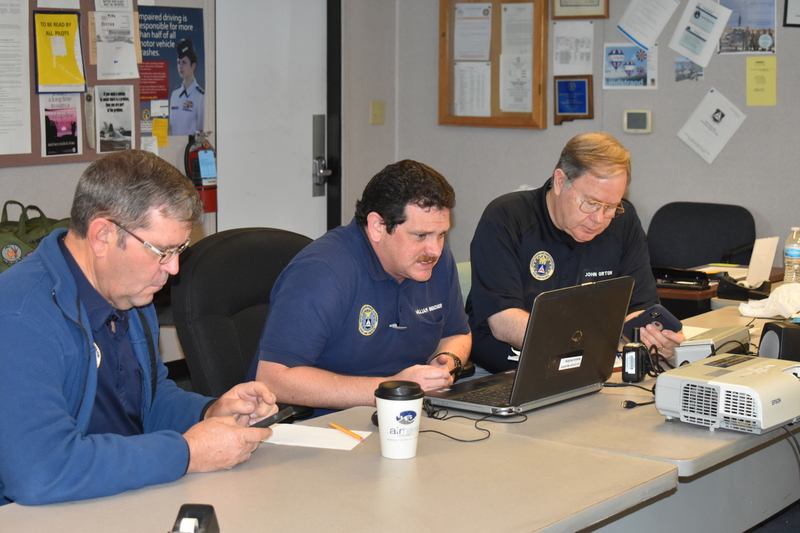 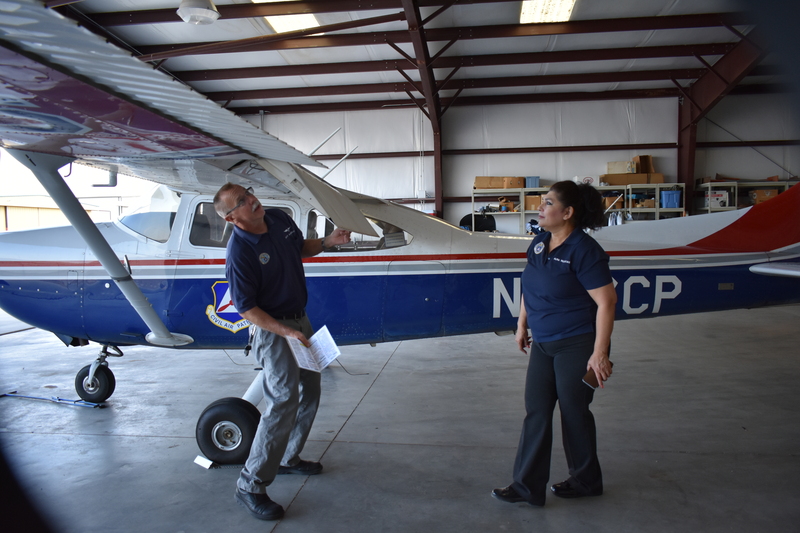 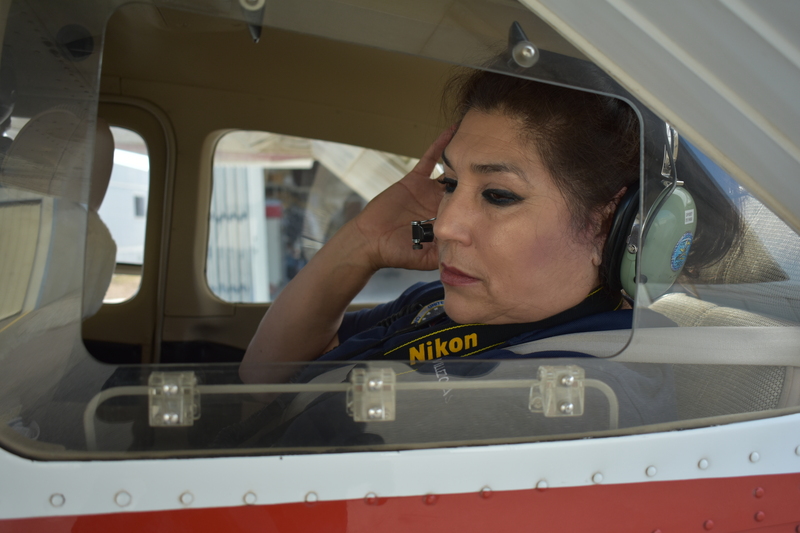 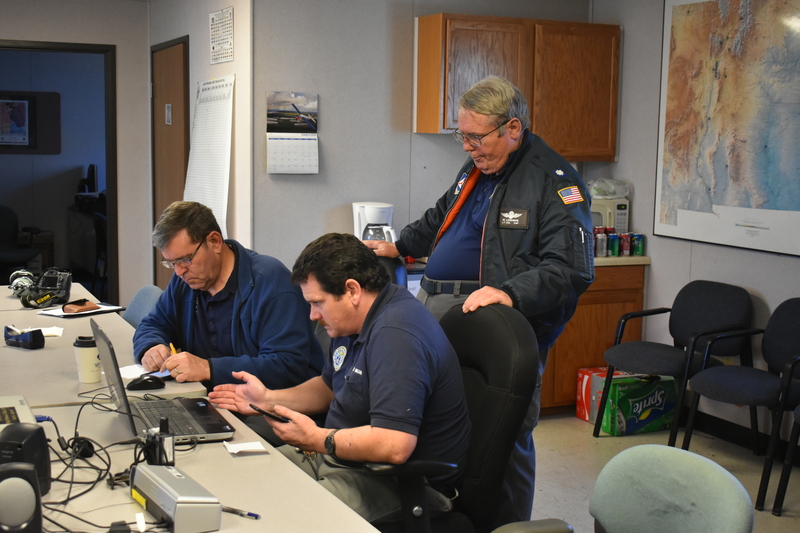 At this past weekend’s monthly CAP SAREX (Search And Rescue Exercise) operation, held at the Las Cruces Municipal Airport, John experienced his first opportunity to take part in one of these regular SAREX programs. 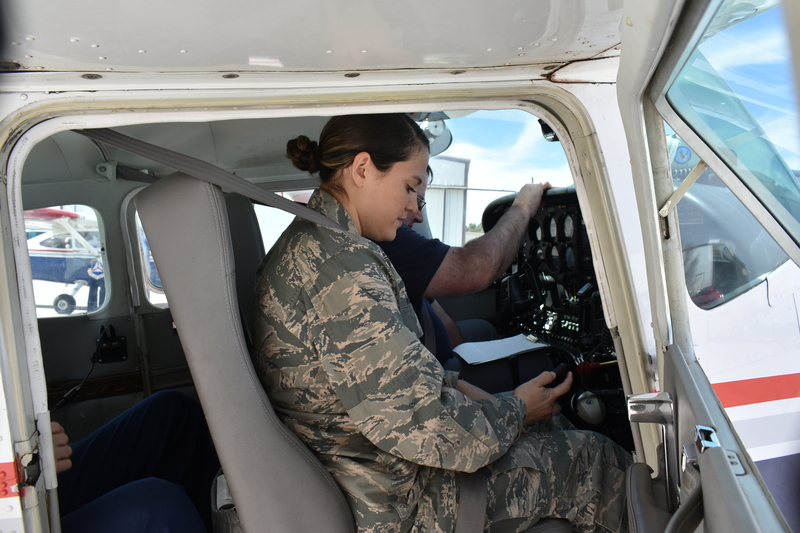 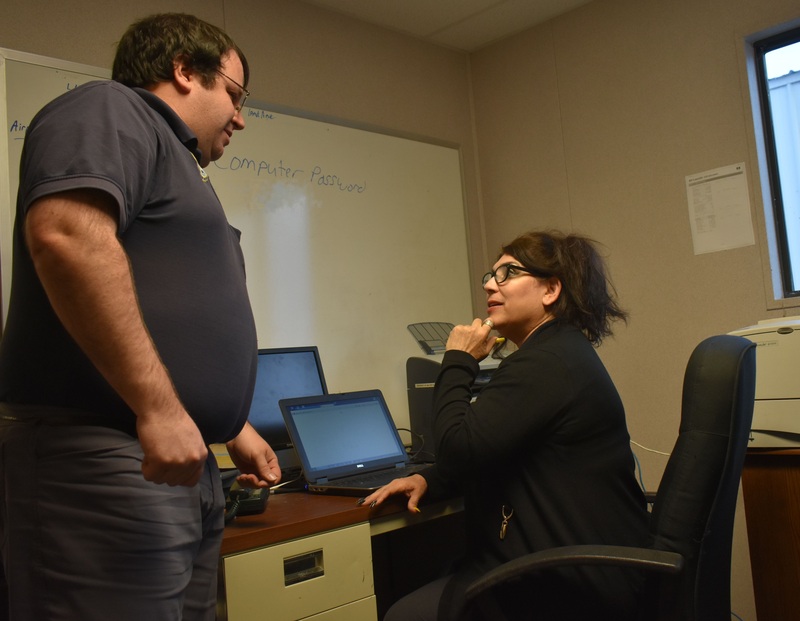 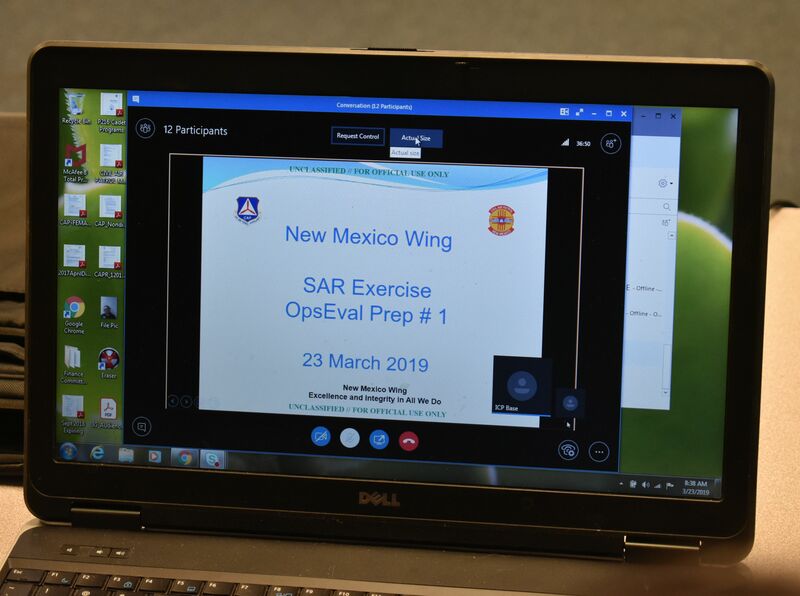 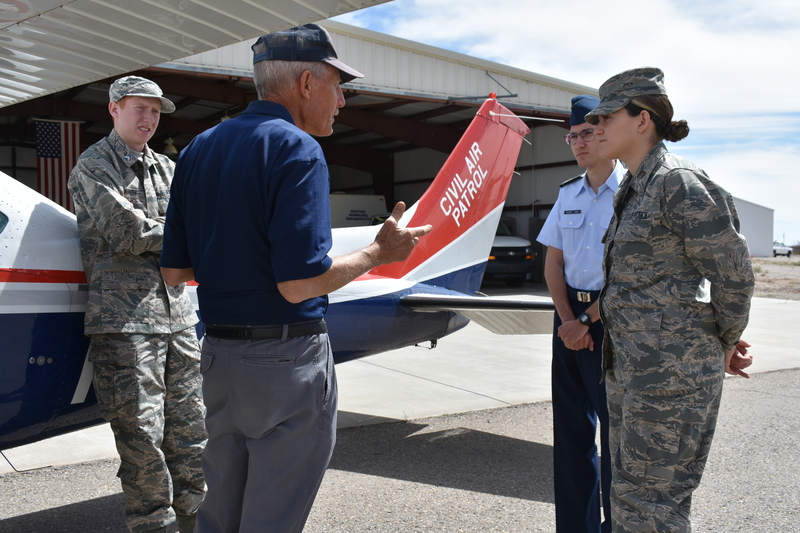 During the afternoon, the Squadron also demostrated how it operates to several AFROTC Cadets from NMSU, one of whom is the youngest active member of the FASF, Cadet Captain, Ammber Valverde. 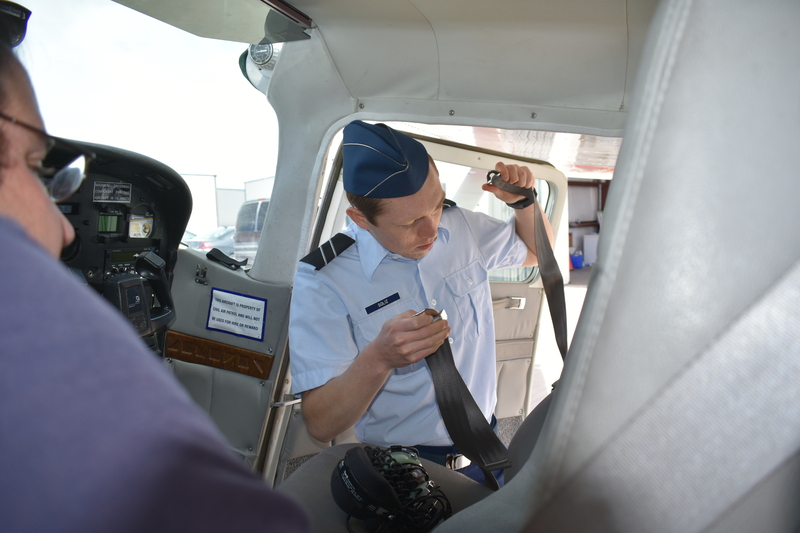 Each cadet received an introductory flight in one of the CAP’s Cessna 182 Aircraft during their orientation. 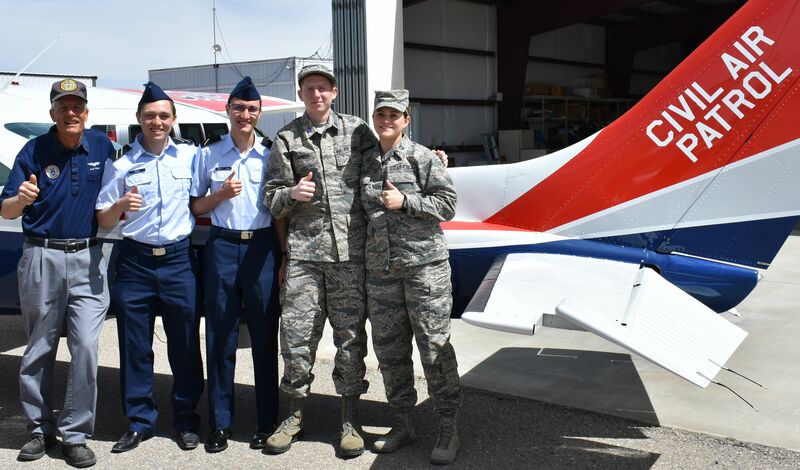 These cadets all hope to become pilots in the United States Air Force after they graduate from New Mexico State University. 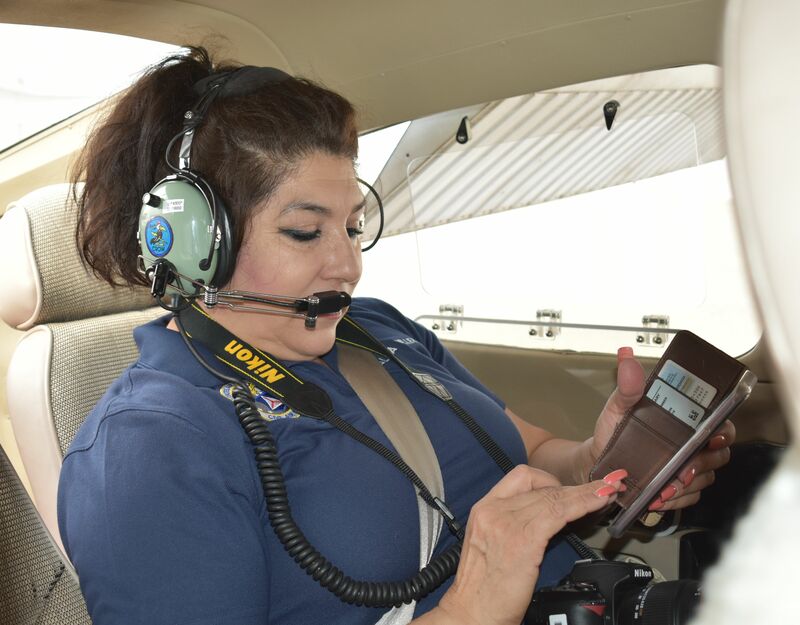 Ammber has already received a Pilot Training Scholarship from the Daedalian Society. 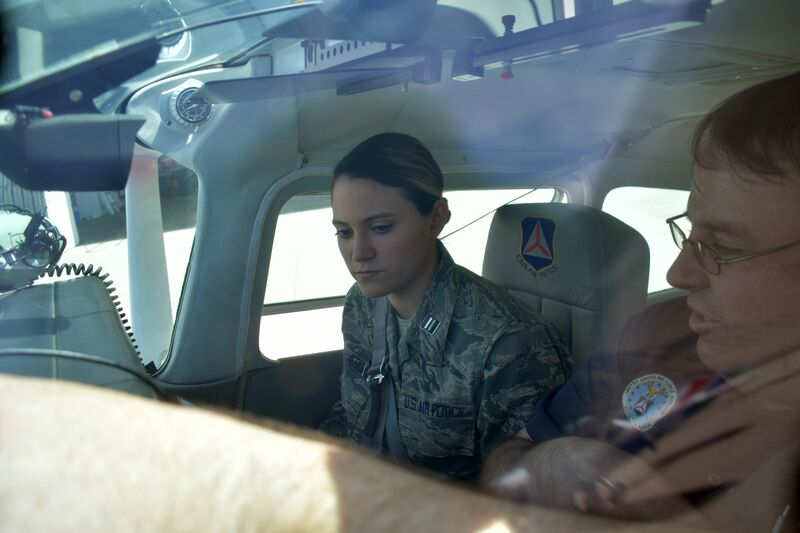 A Short 3 minute long video clip at the bottom of this page shows part of the briefing of several Cadets by one of the squadron’s pilots, Travis McKenzie. 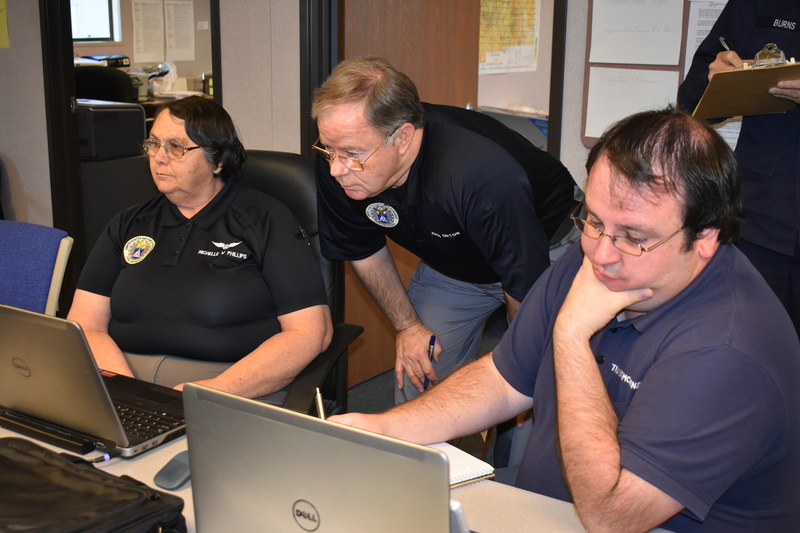 L to R: Michelle Phillips, John Orton, Travis McKenzie. 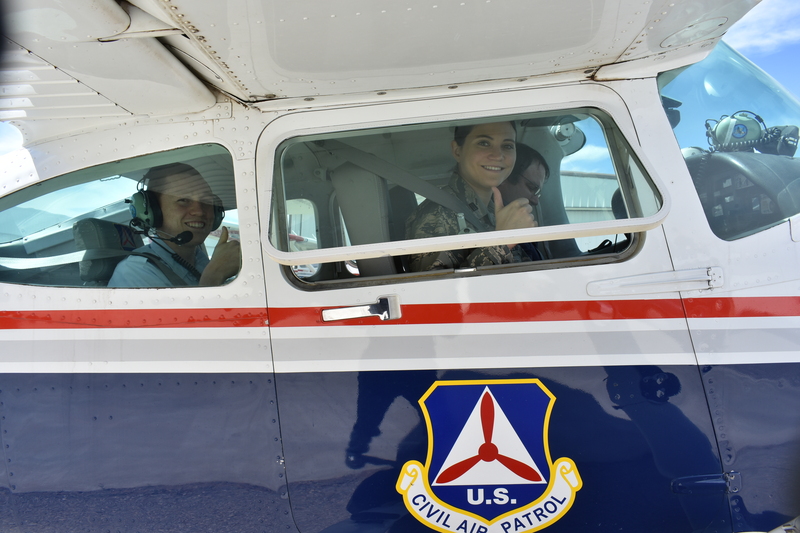 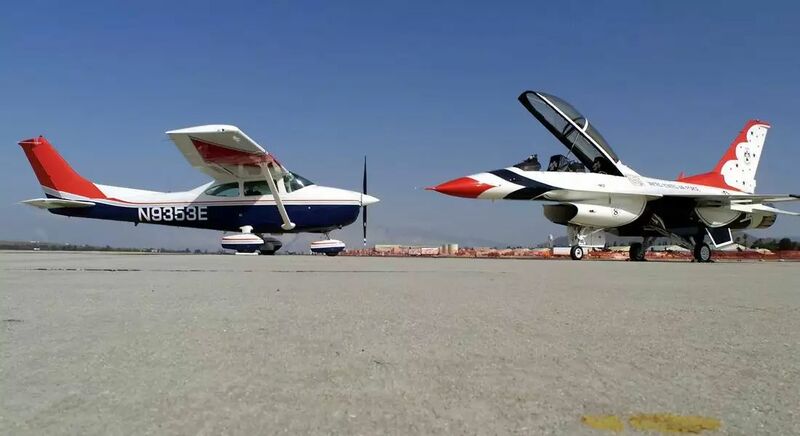 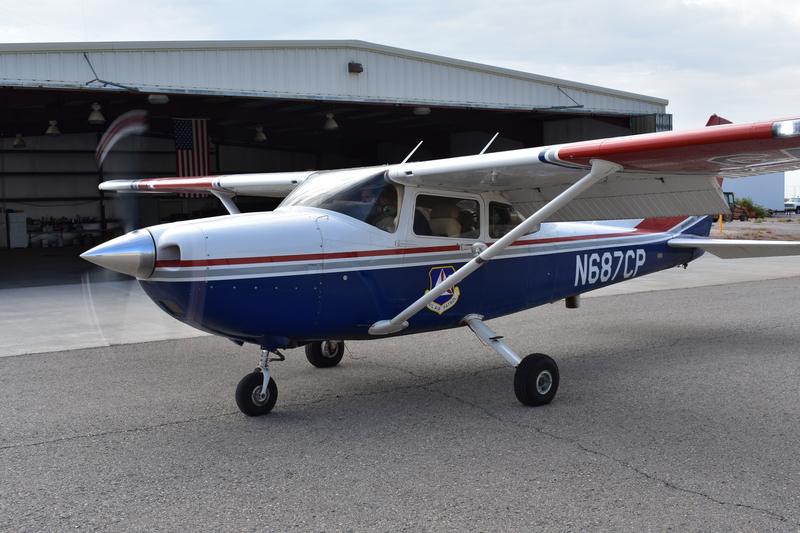 This entry was posted in AVIATION NEWS, HOT NEWS!, NEW VIDEOS and tagged AFROTC, Alan Fisher, Alma Villezcas, Ammber Valverde, Cadets, CAP, Cessna 182, Daniel Malone, Jim McConnell, John Orton, Josh Soliz, Larry Burns, Mchelle Phillips, Mike Legendre, Race Kannedy, Ric Lambart, SAREX, Travis McKenie, Walter Dutton, William Benziger on March 25, 2019 by FASFRIC.